Desh Bhagat University, (Best University in Punjab) - 2nd Rank NIRF Ranking MHRD, Govt. 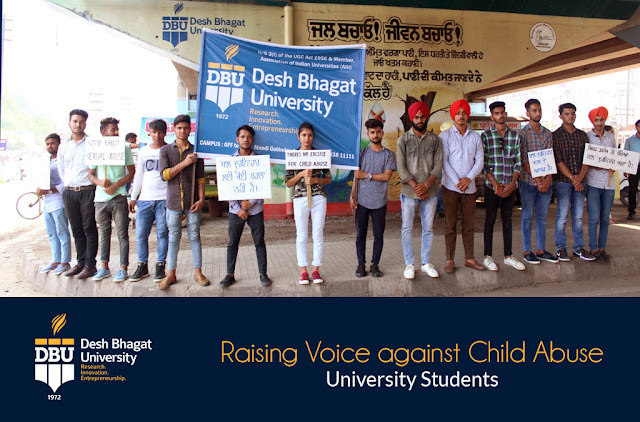 of India) students once again raised their voice against all kind of child abuse. Students of Media, Animation and other Departments of the university expressed their resentment by staging silent March against brutal murder of a student at Gurugram (Gurgaon) and at Jandiala Guru at Desh Bhagat Chowk, Mandi Gobindgarh. Students were holding placard in their hands bearing slogans like Stop Child Abuse, Make Sure the Safety of the Childs, Accused Must Be Punished and Safe Child Safe India etc. While talking on the issue media students Vishal and Pardeep said incidents like Gurugram’s Ryan School and Jandiala Guru are shameful for the Society, the accused must be given hard sentence. Lakhvir, Abhishek and Geet said that we demand exemplary punishment for the accused. 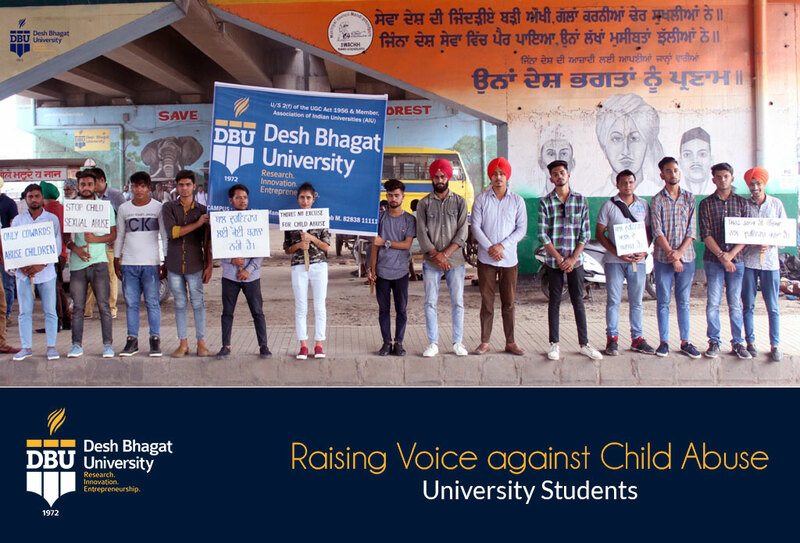 Yashwant, Harman, Mukesh, Nitin, Paramvir, Jasvir and Manvir stressed that schools and education institutions should arranged such kind of security that children or students feel free and get education. They also appealed that Govt. should make a strict law so that this kind of incidences do not occur in the future. The State and Centre Governments should take all necessary steps for the safety and security of the students. The student’s voice get good response when the media persons from different groups and social societies personally reached the venue and applauded the initiative of the students.University Chancellor Dr. Zora Singh and Vice Chancellor Dr. Virinder Singh appreciated the initiative taken by the students. 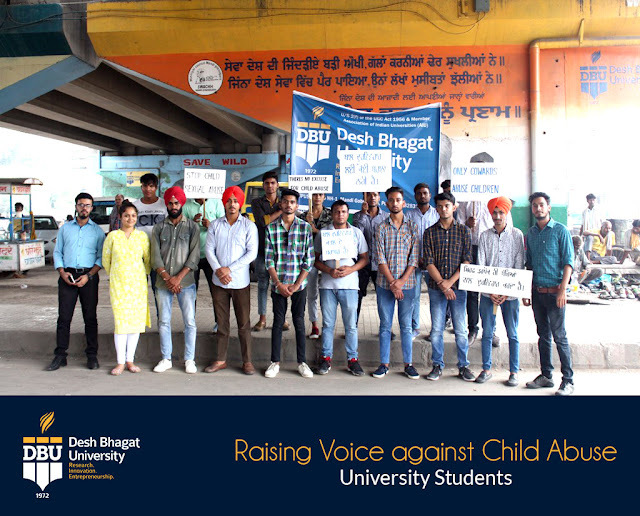 The Dhrana was staged under the supervision of university teachers Prabhjot Singh, Ashima and senior faculty members.